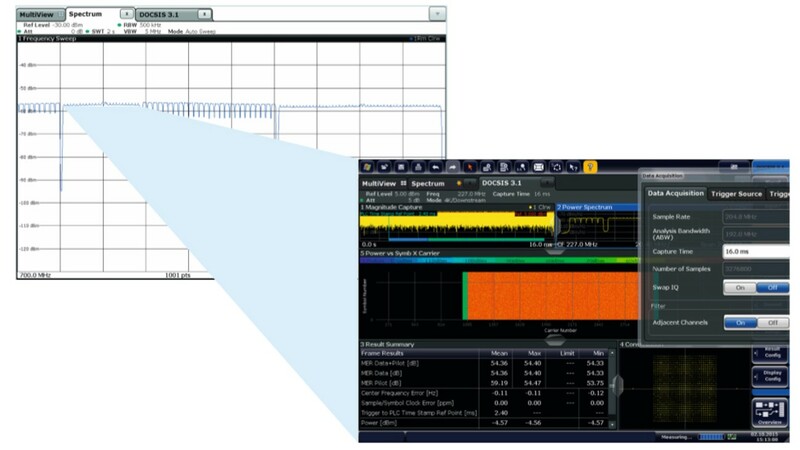 The R&S®FSW signal and spectrum analyzer offers fast and easy-to-use transmitter testing for the demanding DOCSIS 3.1 cable modem (CM) and cable modem termination system (CMTS) requirements. The DOCSIS 3.1 standard was created to address two primary needs for cable communications providers: higher data throughput to meet consumers´ demand for high data rate applications and flexibility to support a variety of applications. In addition, it needs to work alongside the previous DOCSIS generations. DOCSIS 3.1 meets these challenges by using wider bandwidths and a different modulation technique than earlier versions. The downstream bandwidth is between 24 MHz and 192 MHz wide, the upstream channel between 6.4 MHz and 96 MHz. OFDM/OFDMA was chosen as modulation technique to increase throughput and provide configuration flexibility. Many parameters in DOCSIS 3.1 modulation can be varied, such as a selectable subcarrier spacing of 25 kHz or 50 kHz. The cyclic prefix and window size can also be changed. The CMTS is required to support modulation formats from 16QAM to 4096QAM (8192QAM and 16384QAM optionally). CM and CMTS must implement a complex signal that puts high demands on the physical properties of a transmitter, such as good linearity and low noise, to meet the stringent physical layer (PHY) limits. For example, the CMTS modulation error ratio (MER) must be higher than 50 dB for a 192 MHz occupied bandwidth channel measured below 600 MHz. This is not only challenging for the CMTS, it also puts high demands on the test equipment to perform accurate MER measurements. 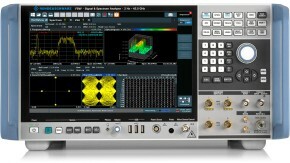 The R&S®FSW signal and spectrum analyzer equipped with the R&S®FSW-K192 downstream and R&S®FSW-K193 upstream DOCSIS 3.1 demodulator options is the ideal test instrument for detailed analysis, precise measurements and fast localization of impairments in the transmitter and transmission path. 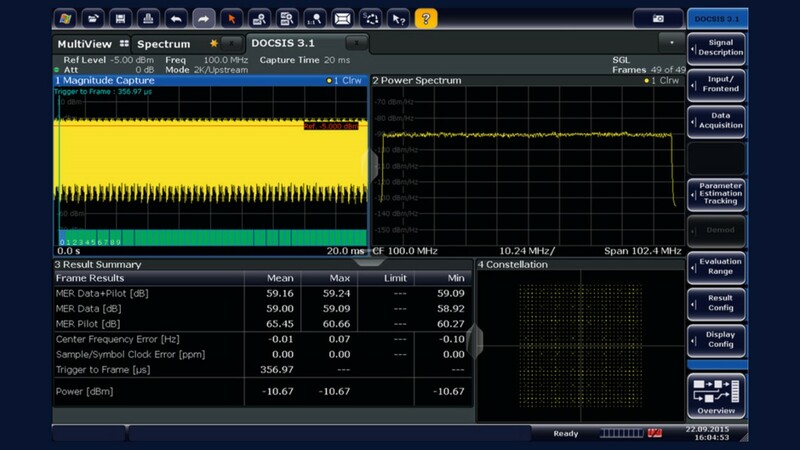 R&S®FSW-K193: DOCSIS 3.1 upstream modulation analysis. 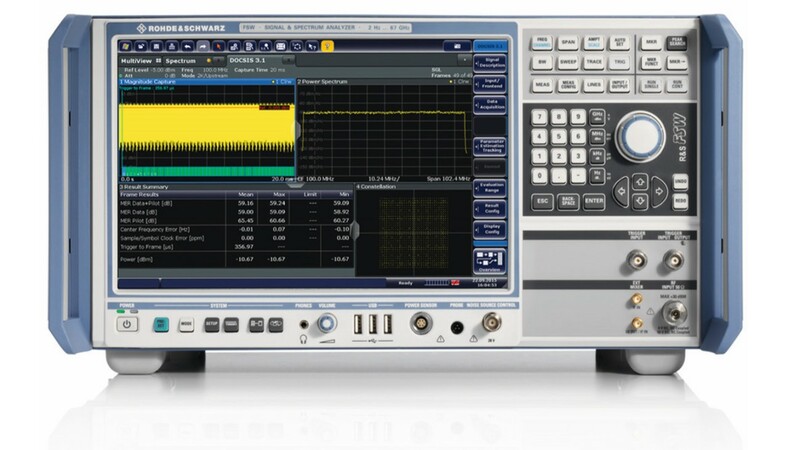 Development and conformance testing of DOCSIS 3.1 CM and CMTS, as well as cable network testing, require a high-end vector signal analyzer with very clean spectral characteristics and low residual MER. The large number of possible signal configurations calls for an analyzer that is able to auto detect many of the signal parameters even in the presence of adjacent channels – and to perform these measurements very fast. The R&S®FSW-K192 downstream DOCSIS 3.1 option analyzes the PLC first in order to automatically configure key signal parameters such as excluded subcarriers, profiles and cyclic prefix. This remarkably reduces analyzer set‑up time, especially on test cases that have many possible signal and/or channel configurations. The R&S®FSW-K192 also features a low-density parity-check (LDPC) decoder that allows detection of bit errors, thus enabling a bit error rate (BER) computation. The R&S®FSW measures complex DOCSIS signals straightforward and very fast, even with LDPC decoding. For example, the MER value of one frame can be acquired in less than 500 ms. Its very clean spectral performance with very low noise floor and residual MER of 57 dB makes the R&S®FSW ideal for accurate CMTS MER tests. Due to dedicated channel filters, it is possible to measure MER even in the presence of other active adjacent channels. The R&S®FSW features a large touchscreen display that is easy to use and allows many result windows to be displayed simultaneously, making it the ideal solution for DOCSIS 3.1 CM and CMTS testing.